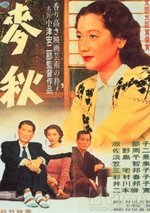 In memoriam Setsuko Hara. Part of the Criterion On Hulu film club, Early Summer may be streamed by Hulu subscribers. I really enjoyed this picture. Hara enchants as always. What I liked most about it was the feeling I got that it was actually a bunch of little movies. Little slices of life that are the real nuts and bolts of how families and workplaces and neighborhoods work. Then sometimes, when people come together, all of those private conversations add up to the relationships among them. As a bonus, here is a comparison of the directorial styles of Wes Anderson and Ozu by Anna Catley from earlier this year.